Celebrate our 30th anniversary with us! 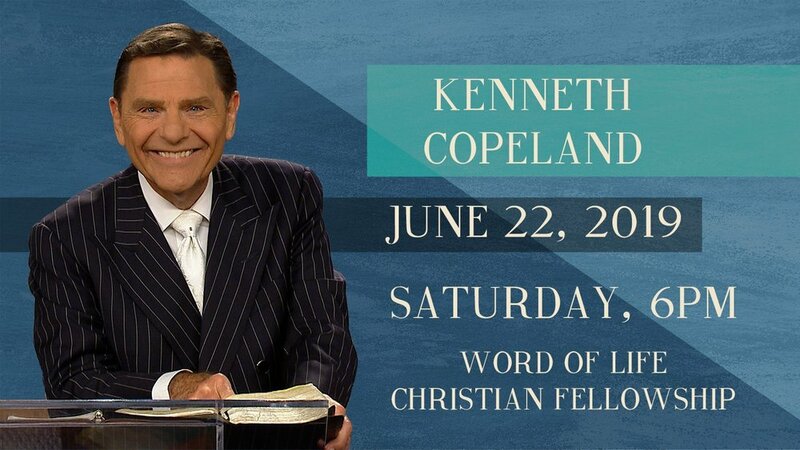 Join us for the 30th Anniversary Celebration for Word of Life Christian Fellowship with Guest Minister Kenneth Copeland on Saturday, June 22 at 6pm. Space is limited for this event. Registration is required. Visit www.kcm.org to learn more about Kenneth Copeland Ministries. 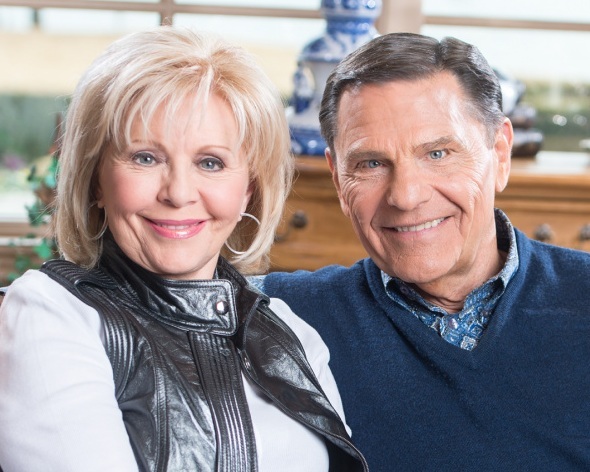 For almost 52 years, Kenneth and Gloria Copeland have been passionately teaching Christians all over the world how to apply the principles of faith found in God’s WORD to their lives. Kenneth Copeland Ministries have seven ministry offices around the world: United States, Canada, Africa, Asia, Australia, Europe, Ukraine and Latin America. Their God-given directive is to preach and teach the uncompromised WORD of God on every available voice, which is being accomplished through a variety of channels, including Believer’s Voice of Victory TV and radio broadcasts, podcast and magazine; Believers’ Conventions, Victory Campaigns and Living Victory meetings; published books, website, and social media channels, to name a few. With the expansion of technology, the Copelands have more work to do now than ever. KCM is determined to let the world know Jesus is LORD, and is not slowing down anytime soon! Located in New Hampshire’s capital, we are a short distance off of highway I-393. Starting on I-93, take Exit 15E to I-393 East. On 393, take Exit 3 towards Loudon. Turn Right at the top of the exit onto Rt 106. Stay right and turn Right at the first set of lights onto Loudon Rd. In 0.7 miles, turn right onto Old Loudon Road. Word of Life Christian Fellowship is on the right. Concord has many options to spend the night! For those traveling from out of town, we’ve compiled a short list of some nearby places you may consider staying. 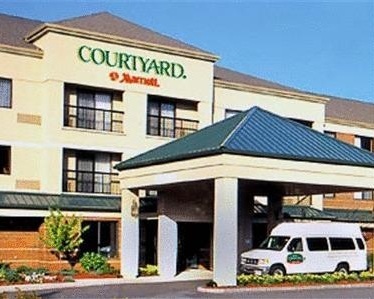 Approximately a 7 minute drive from Word of Life, the Courtyard Marriott is just off of I-93. Rooms include free Wi-Fi, Fitness Center, Pool and Free Breakfast. Rooms offer King or queen sized bed options. Approximately a 12 minute drive from Word of Life, the Residence Inn is one of the newest hotels in Concord. Homelike surroundings make guests feel at home away from home. Rooms include free Wi-Fi, Free Breakfast, Kitchenette, and is Pet Friendly. Rooms are larger than the average hotel room. 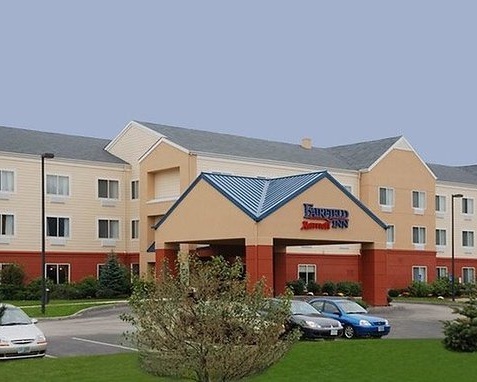 Approximately a 8 minute drive from Word of Life, the Fairfield Inn is just off of I-93. Rooms include free Wi-Fi, Fitness Center, Pool and Free Breakfast. Rooms offer King or queen sized bed options.